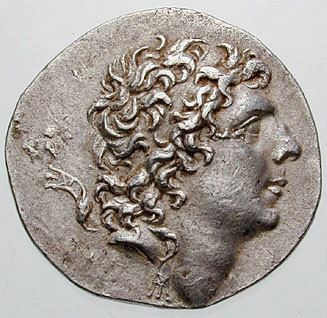 Ariarathes IX was made king of Cappadocia by his father King Mithridates VI of Pontus after the assassination of Ariarathes VII. Since he was only eight years old, he was put under the regency of the Cappadocian Gordius. Early in his reign, he was overthrown by a rebellion by the Cappadocian nobility, who replaced him with Ariarathes VIII, , whom Mithridates promptly expelled, restoring Ariarathes IX. In 95 BC the Roman Senate ordered his deposition, and, after a short period of direct Pontic rule, a brief restoration of Ariarathes VIII and an attempt of instauration of a Republic, put in his place a man chosen by the Cappadocians, who rejected the idea of a Republic: Ariobarzanes I.